Curated from a series of road trips throughout the United States, covering more than one thousand destinations, the State of the Art exhibition includes the work of over 100 under-recognized American artists. 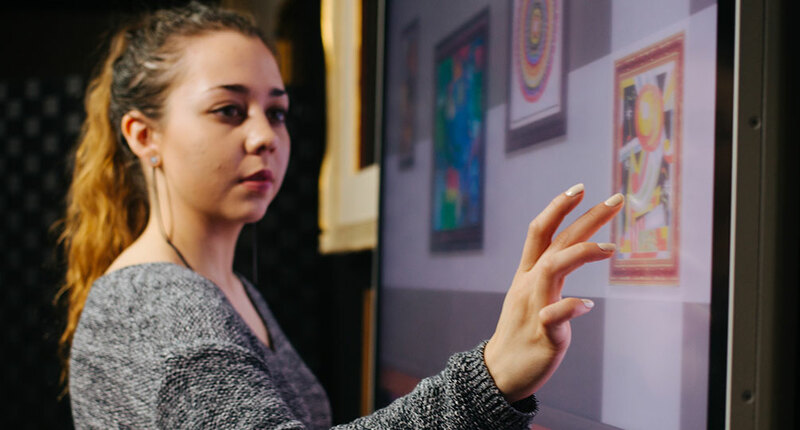 Ideum worked closely with Crystal Bridges Museum of American Art to build a custom interactive application which extends the State of the Art exhibition, providing additional information about each of the 102 artists whose work appears in the exhibition. 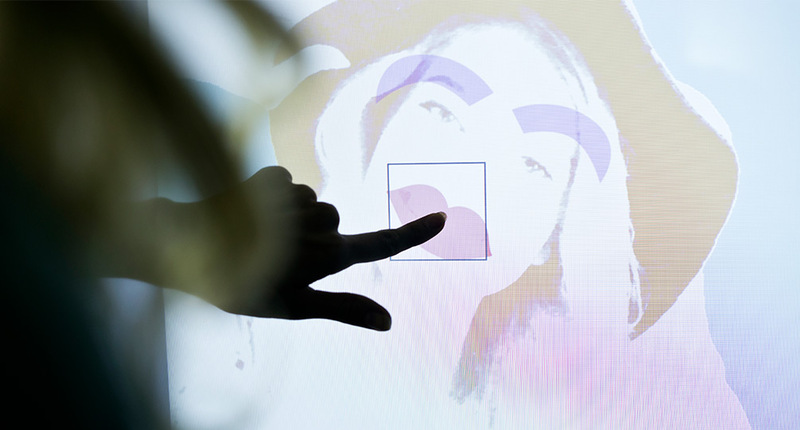 The exhibit software allows visitors to learn about the artists background, approach, and techniques. Visitors can search a map of the United States to select artists, or they can select them from a menu on the lower part of the screen (which is also provides wheelchair accessibility to all of the artists information). The selections in this menu can filtered by medium or tag. Additionally, a section of the application allows visitors to enter their zip code and email address and locate galleries, museums, and other art-related institutions in their neighborhood. The list is emailed directly to them, urging the visitor to continue to search for the next great artistic discovery after their visit to State of the Art. 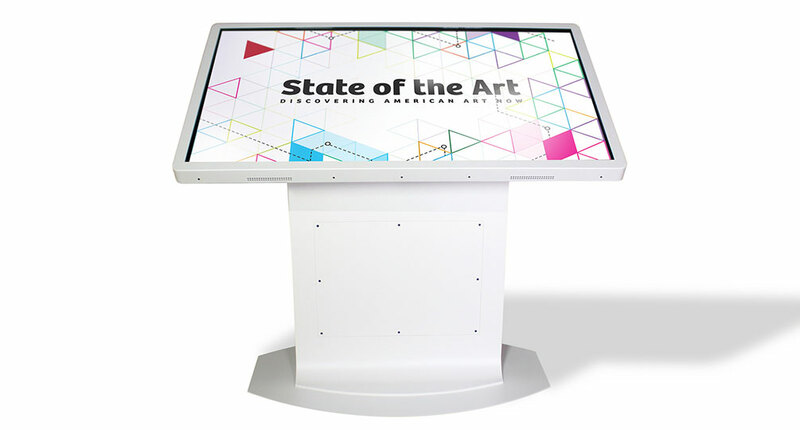 The custom software is displayed on an Ideum 55" Drafting Table and a 46" Presenter, both have a custom powder coat to better match the clean lines and setting of the museum and exhibition. State of the Art runs from September 13, 2014 through January 19, 2015. 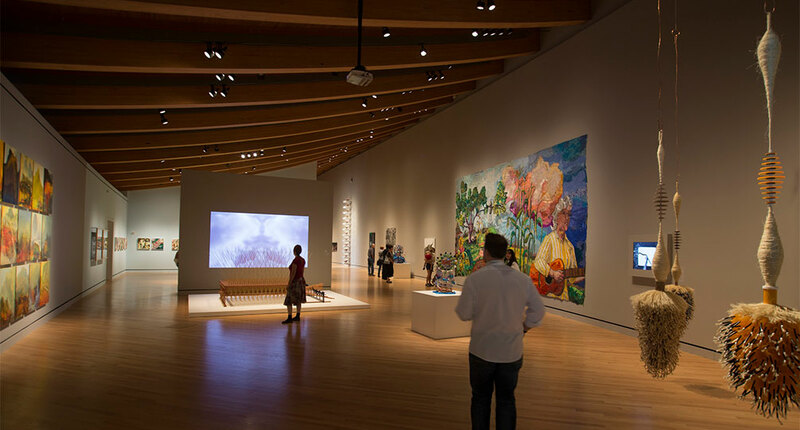 You can learn more about State of the Art on the Crystal Bridges Website.